These 2 teach all over the world and nation sharing their joy, technique, music and laughter in classes to all levels. They are an undefeated BluesShout Allstar Strictly partnership and sure love to kick up fun choreographies in both Swing & Blues. Come join the fun and get your body dancing this winter season. Note each class is 1 hour and 15 minutes. Come learn, or refine, the single most essential move in Lindy Hop! We’ll start from the beginning and cover the points that make a swing out and how to feel the most comfortable with a partner. Level: Are comfortable social dancing with some experience. Great dances often involve a sharing of ideas between lead and follow. In this class, follows will find different types of styling and how to add movement, ideas, and voice to the dance. Leads will learn a style of leading that offers space for follow styling, and how combining the Lead’s ideas with that styling can create something even better. Oh there you are, and here I am! This class is brought to you from a bird’s-eye view. With the concept of relative orientation between partners we’ll show you how completely new movements can be created. Follows and leads will get equal focus as we talk about common assumptions. Suspect the Unexpected! 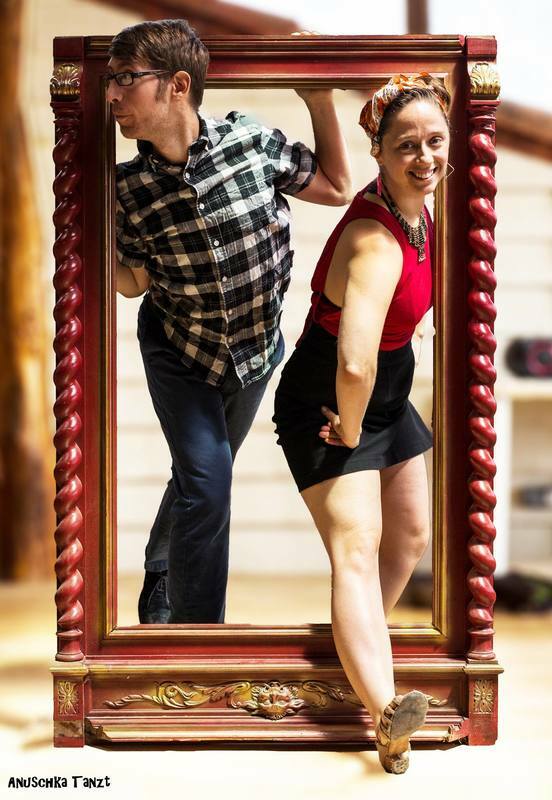 Dan & Jenny are both full-time international dance instructors traveling to share the joy of dance. They've won many competitions around the country both separately and together in Lindy Hop and Blues. Dan & Jenny have found themselves teaching together with ease throughout events with a focus on musicality, fine movement detail, and play between partners. Dan is immersed in the music and the movement. He constantly travels to continue learning, happily sharing his ideas along the way. In his teaching, Dan’s enthusiastic approach brings a focus on innovation, connection, and attention to your partner. Dan is also a veteran DJ, spinning for events locally and across continents on a weekly basis, and has dabbled in organizing for events and local dances. In the end, Dan is most excited to push his own dancing and to see his students break through their boundaries. to expand our 'World of Yes.' Check out more at jennysowden.com. Dan & Jenny’s general vibe is uber playful; just watch them dance! sharing both classic and new approaches while keeping one’s own unique style.